- VOICE CONTROL - Control your home appliances with the smart plug by simply giving voice commands to Amazon Alexa or Google Assistant. No Hub Required, the smart plug SP23 works with any Wi-Fi router without the need for a separate hub or paid subscription service. 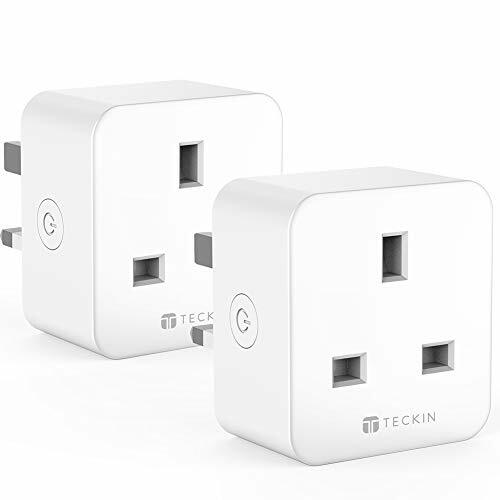 - SET SCHEDULE & TIMER - Schedule the Smart Plug to automatically power electronics on and off as needed, like setting lights to come on at dusk or turn off at sunrise. You can create a group for all of your smart devices and control them all with just one command. With the countdown timer feature, simply set a timer for the Smart Plug to turn off its appliance automatically.